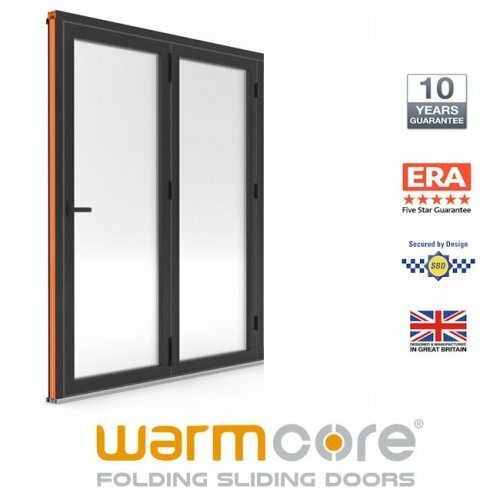 WarmCore has been designed from the ground up to offer market-leading thermal performance, and comfortably meets the requirements of Building Regulations - Part L. Traditional aluminium doors struggle to meet current legislation, forcing you to choose aluminium aesthetics and finish over thermal performance. 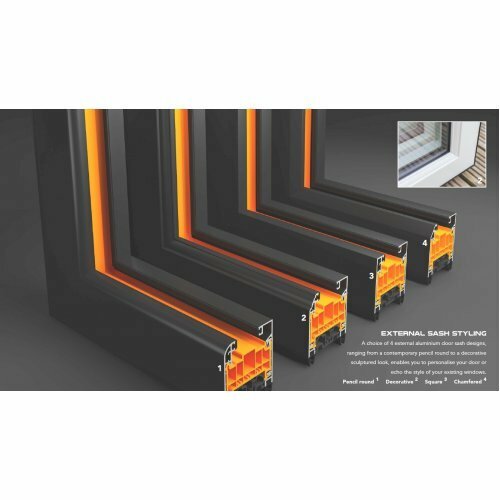 WarmCore gives you both, with its innovative full width thermal core. 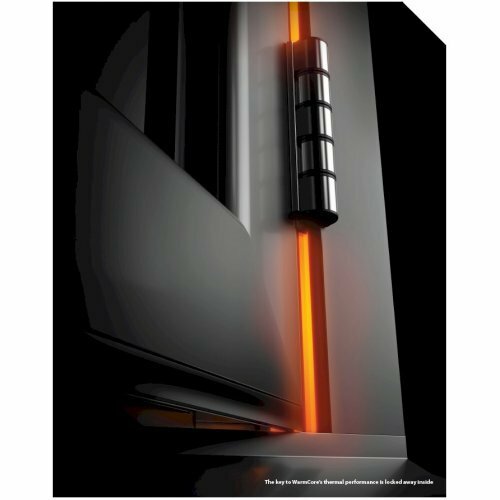 This unique composite construction creates the most thermally efficient folding sliding door in its class. 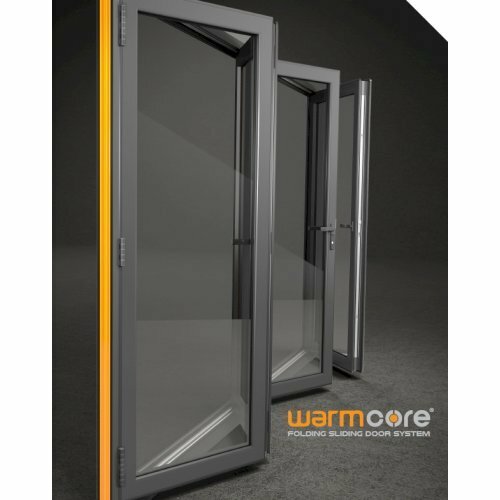 Description: Made-to-measure Two pane Warmcore Bi-fold / french door. 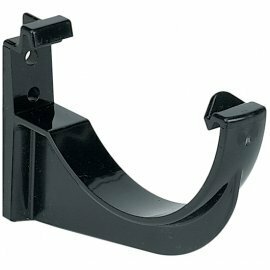 Profile: 2 opening sashes inside the A rated aluminium profile. 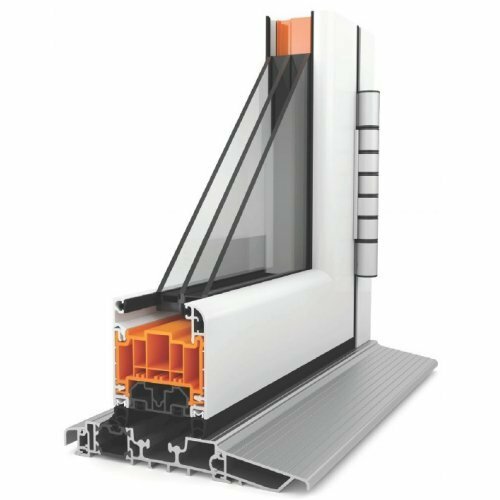 Glass: Standard 28mm Toughend glass 1.4 uvalue or upgrade to 44mm Triple glaze with an amazing u-value of 1.0 - 75% better than a standard Bi-fold. Opening Direction: Looking at the door from outside the house, do you want it hinged on the left or the right. 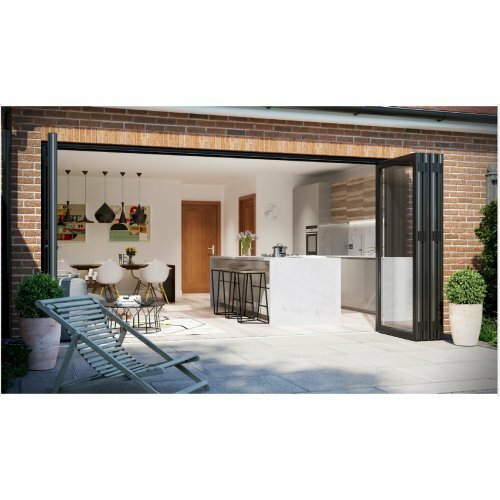 The two pane can also be supplied as a french door. 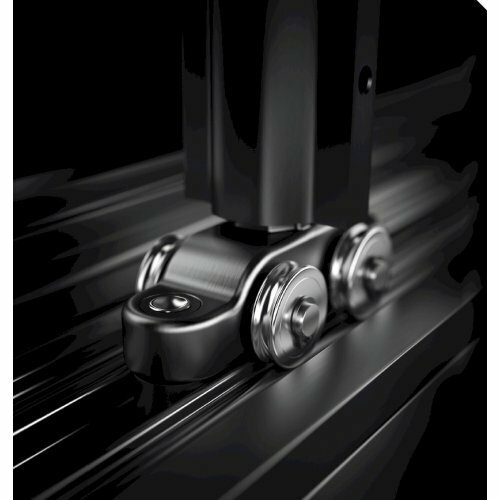 Hardware: You can choose from Matt black, Satin Silver or Brushed Graphite. Frame Colour: You can choose from Pure White, Heritage cream, Jet Black or Anthracite grey at no extra costs. 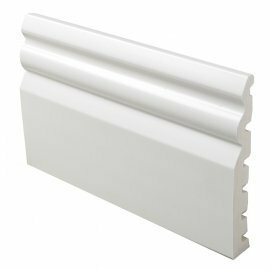 Sash Options: Pencil Round, Decrotive, Square or Chamfered. 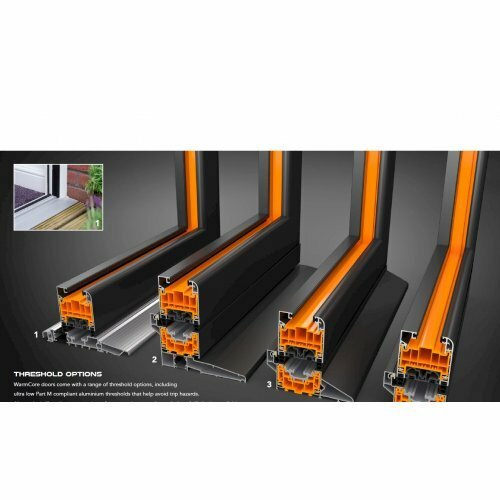 Threshold: This door comes with standard threshold, you can upgrade to Low Aluminium Threshold in the options above. 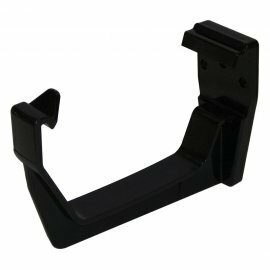 Cill options avaliable. Need help? Give our support team a call.